1. After a hard fought local campaign, the council has agreed to fund and build a new swimming facility in Forest Hill on the site of the old baths. These plans have now reached the stage where they are due to be submitted for planning approval at the end of May and the construction contract has been put out to tender. What commitment will you make to the future of these pools and what guarantees will you give that the pools will be built and will not fall victim to any budgetary cuts after the election? I am completely committed to the future of Forest Hill Pools, and making sure they are rebuilt now that the council has finally come around to the community's way of thinking on them. 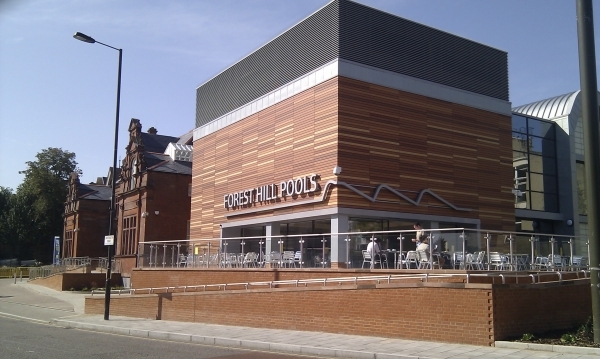 When they are completed in 2012, Forest Hill will have been without swimming pools for six years, which is an improvement on the ten years it took Labour to rebuild the pools at Downham, but still far too long. The cost of the delay to taxpayers like you and me has been horrendous - the existing building has needed securing and heating, and inflation has hit the construction industry - this project has cost millions more than it should have done. As well as being committed to making sure the pools are finished efficiently, I want to make sure that Lewisham Council learns lessons about both costs and dealing more straightforwardly with the public so such a shambles doesn't happen again. 2. At 70%, Lewisham has the highest proportion of residents that work outside the Borough of any Borough in London. What will you do to attract employment to the south of the Borough? We need to look at the types of employment which will provide long-term growth. While Lewisham has been treated as a dormitory borough by successive planners, we can recognise that Forest Hill in particular has a particularly large single-person business sector. Not enough has been done for either high streets or newer hubs as Havelock Walk, and this can be as simple as making sure that other council services such as road repairs and refuse are prioritised. We need to support the local shopping areas, and build on opportunities provided by future trends - while 'chore' shopping is likely to move increasingly online, smaller local parades are likely to be successful and town centres where they provide a pleasant leisure destination. There are examples of successful small industrial areas at Malham Road and at Willow Way, and there are opportunities around Bell Green. Certain forms of employment have not sat happily as immediate neighbours in residential streets, but many of the industries we are likely to see growth in do not share this problem. 3. Approximately 30% of Lewisham's commuters use the train service to London Bridge along the Sydenham corridor. While welcoming the introduction of the East London Line and the new travel opportunities it presents, we recently presented a petition of 5800 signatures to the DfT and are greatly concerned by the reduction in service to London Bridge. The timetabled services due from May 2010 are predicted to be severely congested at peak times from day one. What will you do to lobby the DfT, TOCs and National Rail and achieve increased capacity to London Bridge? The hugely complicated and bureaucratic system for dealing with the rail system that the Labour government has set up masks the fact that civil servants and ministers have more control over day-to-day services on the railways than they had in the days of British Rail. Yet changes to service levels are poorly consulted when they negotiate the new minimum timetable with the train operating companies and network rail. Nowhere has this been more apparent than on the Sydenham line, where the public were not invited to the decision on removing the requirement on Southern to run so many services to London Bridge or any to Charing Cross. To no-one's surprise, Southern have chosen not to run a train they don't have to when ministers failed to press them to and commercial realities dictate otherwise. The ministers' response to the local campaign and petition has been the shockingly high-handed strategy of 'lets wait and see how the new service pattern beds in' - in other words, to fob local people off. At the same time, Lewisham Council announced that their outgoing Mayor decided that this wasn't a campaign they wished to press the government on just a week-and-a-half after he supported the full Council in a strong message to his friends in the government. I can assure you that I will always stand up for local residents in this sort of situation and will make sure that the council is paying attention across the web of responsibility the government has set up. 4. 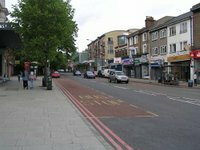 According to Lewisham's LIP, Forest Hill Town Centre has had the highest vacancy rates in the Borough for at least 15 years. What will you do to revitalise the town centre? There' currently quite a significant shift in shopping patterns taking place. No-one knows exactly where it is leading, but we can be sure that past performance can only be a limited example of future success. What we can be sure of is that town centres which are successful are those which are convenient to get to and pleasant to visit. On the former, the footfall around the railway station is not sufficiently expanded upon, while the car parking situation has only just begun to be dealt with (thanks to money from Sainsburys rather than any direct investment from the Council). On the latter, the town centre has undoubtedly been damaged by the absence of the pools and the signs of neglect are everywhere, from broken pavements to bins left out and street clutter left for years. With the new pools campaigners have won there is an opportunity for further development, and building on the survey which the local assembly and your Liberal Democrat councillors commissioned, we have the chance for some exciting work. 5. The success of the Beach in the Horniman Triangle highlights the need for better youth provision in the ward. How will you address the needs for primary school places and extra curricular youth provision? The success of the Beach has been fantastic. Your councillors have been campaigning to improve the play park since 2005 and the Beach, demolition of the old toilet block and new cafe have transformed it. The new toilets near the cafe are a success which can be traced to the money which the local assembly invested in it. The Beach, does however, provide facilities for a quite specific age group and it will be one of my six priorities to invest more in providing extra-curricular activities for young people right across the age spectrum. Whoever you choose as Mayor tomorrow, the crisis in school places in Lewisham is going to be probably the biggest single issue facing the Council over the next four years. For a variety of reasons, this is a problem affecting all of London, but Lewisham is expecting one of the highest increases in demand of any borough. This is at least partially down to poor planning by the outgoing administration: figures three years ago highlighted this was going to hit Forest Hill, Lee and Sydenham particularly badly but the Mayor's managers pooh-poohed the figures when they were raised by Liberal Democrat councillors. The result is a shortage of over 500 places next September, rising to a shortage of over 3000 places in a few years' time. This means children in emergency accommodation: schools expanded so fast that children are in overcrowded conditions which affect their learning. When the Labour candidate promised a new secondary school in 2002 which he's still promising and on which a brick has still not been laid, residents can perhaps be forgiven for lacking confidence in his ability to deliver for our children. I will have an urgent programme of sensible expansion of schools, reopening some schools closed under the present administration, and building new schools. I am a Blackheath councillor. Before living in Lewisham I was a Bromley resident and local councillor. Between 1998 and 2001 I was Leader of Bromley Council, so have some experience and knowledge about leading a local authority. The Liberal Democrats are opposed to the system of directly Mayors - we do not feel it gets the best decisions for the local community. A system where views are exchanged, opposition can challenge and scrutinise leads to better decision making. If elected I will strengthen ward assemblies and devolve power and some budgets to local communities, I think many issues should not need to decided by officers in the town hall but are better decided at a ward level.